In recognition of the Fleshtones' 40th anniversary in May of this year, I've been combing through the Sweat: The Story of The Fleshtones, America's Garage Band and online archives for some little-seen nuggets. 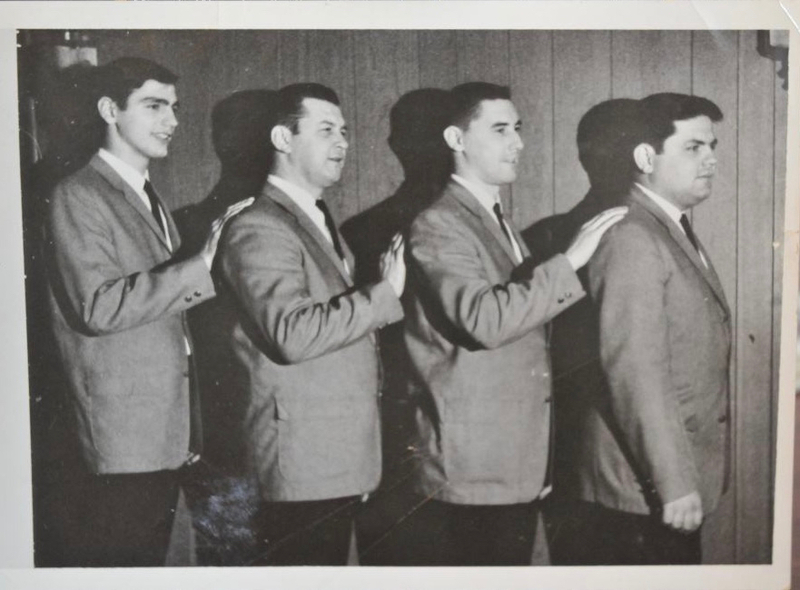 Here's a terrific photograph of Bill Milhizer and his first band, The Charades, in Troy, New York, in the mid-1960s. The photo appears in an article at The Spot 518 promoting the Fleshtones show this weekend in Troy, where Milhizer lives. Local hero, and all that.